In the modern world of digitalization, security is the most significant aspect for everybody. The Tuneskit iPhone Data Recovery Mac is the best iOS data savior that can losslessly recover lost/deleted media such as photos & videos, messages, attachments, contacts, call history, voice mail, notes, calendar, voice memos, reminders, bookmarks, kik attachments, WhatsApp data, etc. on iPhone, iPad, iPod touch through iOS devices such as iPhone, iPad, and iPod directly, or via iCloud backups and iTunes. 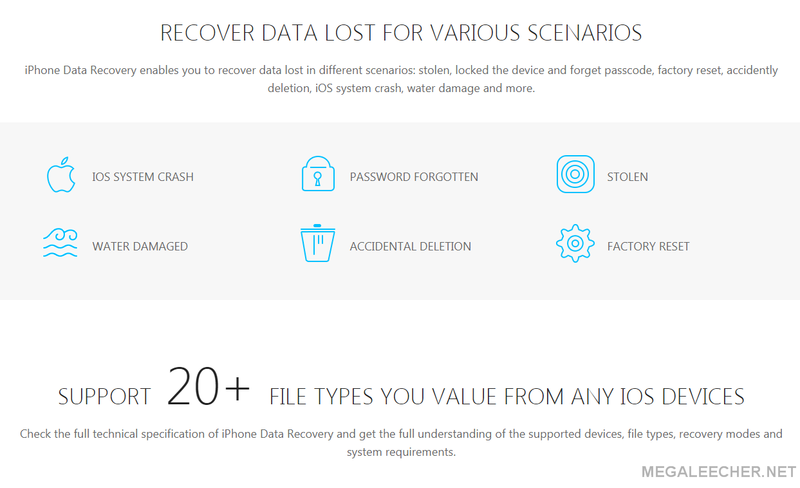 No matter how you lost the data, whether it was a system crash, phone damage, system error, virus invasion, phone theft, accidental deletion, password forgotten, jailbreak failure, water damage or any other factor, Tuneskit Mac iPhone Data Recovery is the best solution to get back the lost/deleted data. The software offers a series of utilities that help in restoring the data and saving you from losing important data and information. It offers an easy-to-use experience that allows even the most inexperienced users to recover the deleted or lost data with ease. Plugging in the SD card into your PC to find out it is not getting detected could be the worst nightmare for anyone having thousands of pictures, music and other important data onto it. I have shared many How-to's and utilities to help users recover data but sadly all of them failed or were unable to recover all data on the SD-card which came to me for recovery. 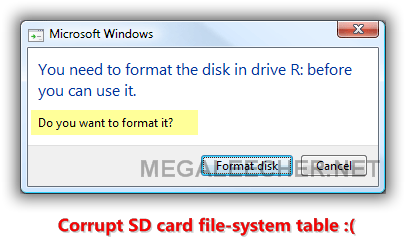 After doing a lot of research on why my computer is asking me to "Format" the SD-card instead of reading it's content, I was pretty sure the culprit was a bad file-system boot sector. While 99.9% of the data recovery applications, both free and paid relied upon the same method to "Scan" and find data from the disk bypassing the file-system "registry" of the files, I was looking for something which will allow me to play with the damaged boot sector of the file-system to recover the underlying "file record registry". Luckily, what I found was not only open-source and free but supported advanced features which nothing else offered, the utility supported NTFS, FAT12, FAT16, FAT32, exFAT, ext2, ext3, ext4, btrfs, BeFS, CramFS, HFS, JFS, Linux Raid, Linux Swap, LVM, LVM2, NSS, ReiserFS, UFS and XFS filesystem and came with cross-platform binaries which can run under DOS, Windows (NT4, 2000, XP, 2003, Vista, 2008, Windows 7 (x86 & x64), Windows 10, Linux, FreeBSD, NetBSD, OpenBSD, SunOS and MacOS X. The significance of data recovery software and tools for Windows and other storage devices cannot be ignored. There are times when you accidentally delete or lose data from your computer, laptop, a phone or from a digital camera, and you find it impossible to retrieve it. This is where a data recovery software can help you. The Wondershare data recovery is a complete all-in-one software that has the potential to retrieve data from a whole lot of storage devices such as a computer, flash drive, removable disks, laptops, memory cards and what not. This simple-to-use software has everything that you need. It is believed that most Windows users have encountered data loss situations, and the loss of important data may bring them countless trouble or even serious economic losses. Therefore, to furthest recover lost data seems so important. Recovering data lost due to hardware damage, users should turn to professional data recovery companies, but to deal with data loss situations caused by software errors, such as mistaken deletion, accidental formatting, virus attack, and power outage, they are highly suggested to ask professional data recovery software for help, which can help avoid privacy leakage to the largest extent. 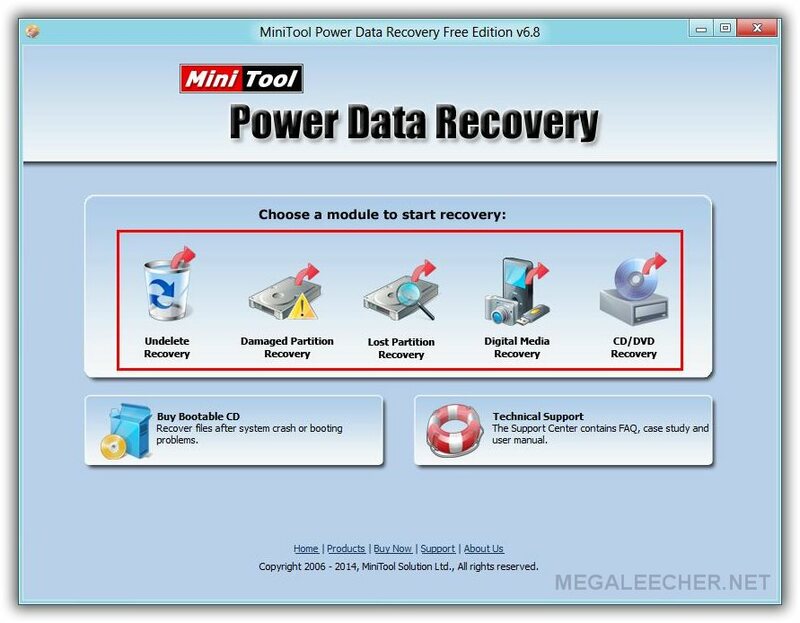 Nevertheless, most data recovery programs on the internet are so expensive that common users can not afford them, but MiniTool Power Data Recovery Free Edition is an exception. Though it is a piece of freeware, its data recovery competence is much more powerful than that of most chargeable programs. Equipped with 5 functional modules, it can help recover data lost due to almost all soft errors.